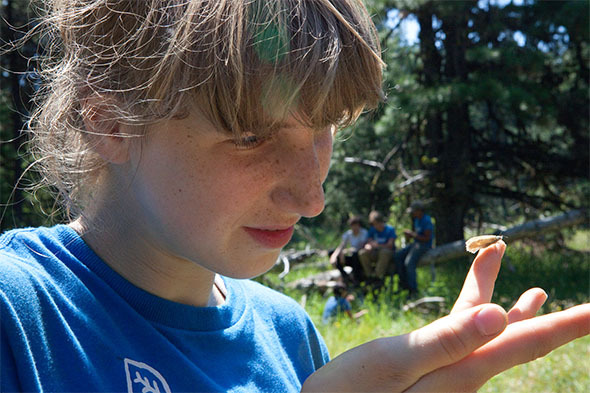 While nature exposure within the city or suburbs is inarguably advantageous and should be frequently pursued, we’ve noticed, after 59 years of experience leading youth service programs in some of America’s most stunning and remote natural areas, that there are certain additional benefits that come only with deeper immersion in the natural world. To safely enjoy time far from the comforts of civilization requires a degree of presence of mind, of thoughtful planning, and of situational adaptation that cannot help but strengthen essential skills and reinforce crucial life lessons. We’ve all experienced it. Having constant, pinging access to all of your friends and the entire internet through your phone at all times really does make it diﬃcult to truly observe, absorb, and appreciate your surroundings. In fact, when a recent study examined two groups of backpackers, one equipped with smartphones, the other without, lower cognitive function and diminished creative thinking were seen in the 4G-enabled group, an observation that the researchers attributed to simple distraction. 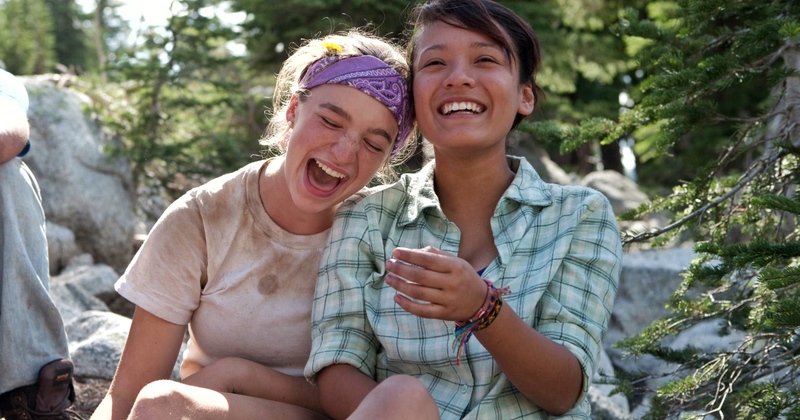 The ability to keep ourselves interested, engaged, and open to fascination with the world around us (rather than constantly wondering about the information soup always threatening to boil over from the phones in our pockets) may seem innate, but it’s actually a skill that must be cultivated and maintained, most critically during those formative teenage years. Frequent and prolonged trips away from cellular service zones and into isolated nature areas is a beautiful way to make sure this happens. With smartphones reminding us of our appointments, giving us directions, and allowing us to reformulate and even back out of social plans up to the very last minute, planning skills, as important as ever for long-term success and growth, are becoming less and less practiced in everyday life. Outdoor activities that take us far from the city are a corrective for this, and not only because they disconnect us from e-calendars and GPS. Yes they require us to learn to use printed maps and calendars (anyone remember those? ), but they also require us to predict and prepare for a long list of contingencies well in advance. Will the weather turn sour? Hope not, but better pack a rain shell and plan an escape route just in case. Will the temperature change? Better pack layers. How much food will you need? Will you have access to clean water? What will you do if you develop a blister? What’s the plan if someone gets hurt? Advanced planning is an essential skill best mastered early on during one’s teenage years. Recent research into SCA’s programs shows that helping coordinate a safe and fun trip into a remote natural area (the kind of trip that SCA has been leading for decades) is a great way to achieve this. There’s nothing like a hike into the wilderness—where you have to haul your own food, filter your own water, and dig your own cat holes—to inspire appreciation for the fact that the relative ease and convenience of our daily lives depends on systems and services made possible by community efforts involving thousands of people. Once in the backcountry, this appreciation can be further enforced by guided reﬂection on the complex web of nature. Invasive plants provide a nice figurative example—the sudden addition of a single outside species can send disruptive shockwaves through an entire ecosystem, pushing out native plants that provide crucial habitat and nutrients with devastating consequences all the way up the food chain. On SCA service trips, we emphasize such reﬂection on life’s interconnectedness to illuminate how, since we all depend on each other, individual actions and inactions can have far-reaching impacts. We’ve noticed, as a result, that a majority of returning participants report a heightened sense of responsibility toward others and a greater interest in improving their community. Looking for a copy you can print? We got you covered. Until you’ve tried it, how do you know whether you’re capable of spending a week or two in the backcountry, dozens (or even hundreds) of miles from the nearest town, relying only on your wits and the plans and provisions that you and your campmates have prepared? You don’t! But once you’ve have tried it, and survived it, and even enjoyed it, the feeling of accomplishment will be tremendous and empowering. There’s research to back this up. 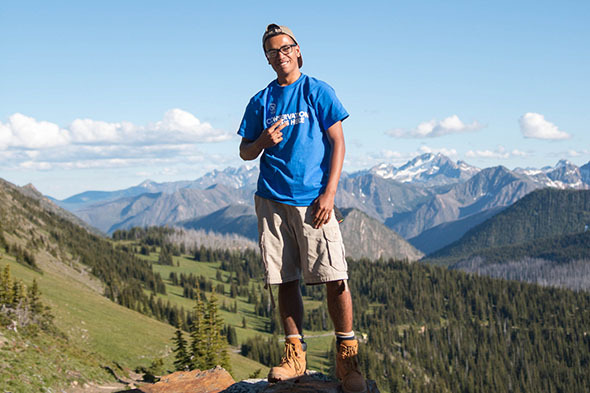 A recent study of SCA’s programs shows that after a single two-to-four-week SCA outdoor service trip, teenage participants reported being more open to challenge, more aware of their strengths and weaknesses, and more willing to persevere in tough circumstances. You can rough it! 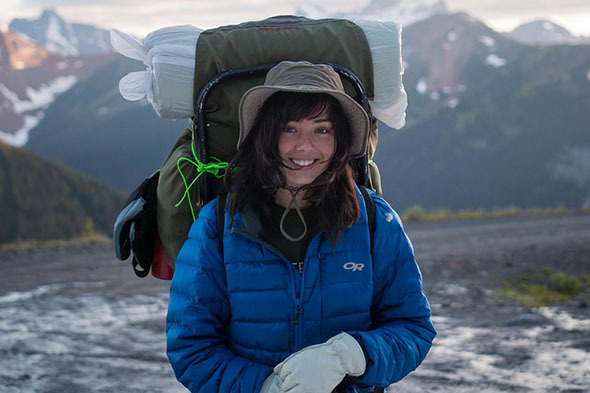 You can live out of a backpack and sleep soundly in a tent. You can go a week or two without showering, checking Snapchat, watching YouTube, or looking in the mirror. If you’ve never gone more than a couple of days without such comforts and conveniences, it can be easy to start thinking of them as necessities. A well-planned two week stint in the backcountry will put the lie to this notion, revealing that it’s not only possible to live without light switches, microwaves, and air-conditioning, but that in the right environment, under the right circumstances, it can actually be unforgettably enjoyable. John Muir said, “When one tugs at a single thing in nature, he finds it attached to the rest of the world.” There’s no place where his words are more powerfully felt than in the wilderness, where every sight, sound, smell, and texture that you encounter is produced not by human action, but by a force of nature. Any SCA Field Leader will tell you, to spend a couple of nights or a couple of weeks in such a place is a truly unforgettable experience, more than powerful enough to open young minds and shift perspectives. To live for a spell in the wilderness is to witness the fact that while humans must maintain the health of Earth’s ecosystems in order to go on surviving and thriving, Earth doesn’t need us at all. Indeed it’s where our inﬂuence is least felt that nature most fully thrives. It’s hard to return from an experience like this without a heightened environmental awareness and a strengthened sense of stewardship for the land. 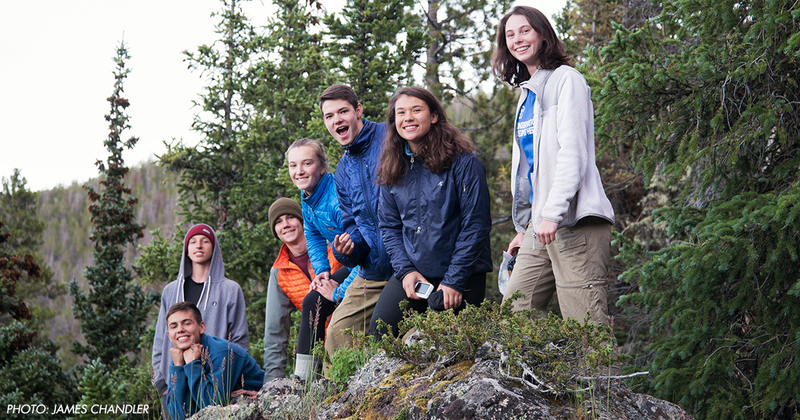 In fact, in that recent study of SCA’s outdoor service programs, teen participants came away feeling a stronger connection to nature, and a greater responsibility for its health, in addition to thinking more critically about environmental issues, and taking more actions to conserve resources.